Everyone is looking for the next Bitcoin. Finding a currency with potential not just to change the world, but also net multiple thousand percent returns over the next several months, though, isn’t as easy as an influx of new contenders would have you believe. But it doesn’t matter. Wealth creation that centers on speculation isn’t a story worth talking about. What we should be talking about is blockchain technology, decentralization, and the profound impact of small teams hell-bent on disrupting the world’s financial markets. Instead, we’re focused on lucky assholes with the misguided foresight to invest in largely theoretical (at the time) tech. As a tech enthusiast, it’s only natural that I love cryptocurrency. But I didn’t at first. I saw potential in a monetary instrument largely detached from government, a non-fiat currency bought, sold, and traded in the open on a ledger the entire world could see. To me though, it was just a bunch of 1’s and 0’s with an assigned dollar value. Bitcoin, unlike the dollar, yen, or euro didn’t move along the same lines as your typical currency; it was driven solely by speculation, something that’s just as true today as it was at its inception. It’s a dollar bill, but one I couldn’t see, or touch. And unlike that dollar bill, there’s a better than zero chance to lose it entirely through forces outside your control. If I hold a dollar, I’m at risk only from someone physically taking it. With cryptocurrency, the risks are numerous: the exchange could get hacked (see: MT Gox), it could lose half (or more) of its value overnight, or the government could just cut the cord and push Bitcoin back into the depths, making it once again viable only for drug dealers, human traffickers, and shady underground characters. I didn’t come around until I better understood what was behind all the hype. In Bitcoin’s case, the currency wasn’t an answer, but a question: is there a better way? Full disclosure: I own a small number of Siacoin, the token used to conduct transactions on the Sia network. Sia was born of the desire to build a better Bitcoin. Co-founders David Vorick and Luke Champine aimed to dissect the original, and develop a sort of 2.0 version that would lead us into crypto’s second wave. In attempting to build a better Bitcoin, the two ultimately became even more enamored with the technology. They weren’t sure it was possible to create an altogether “better” version of the pioneering cryptocurrency we’ve since turned into the gold standard of altcoins. That’s not to say it was perfect; there were, and still are, improvements worth making. But as far as building something completely unique, something offering a worthwhile improvement over the original: the co-founders drew a blank. Sufficiently impressed with Bitcoin, the pair started a new project, this time at an MIT hacking competition. It’s this 2013 competition that led Vorick and Champine to their current obsession: file storage. What file storage lacks in sexiness it more than makes up for in utility. And if you’re looking for a market ripe for decentralization, look no further. Amazon, by all accounts is a giant in the retail space. Its retail presence, however, is dwarfed in terms of marketshare by another Amazon product that operates behind the scenes while silently powering nearly 50 percent of the web: AWS. Let’s take a step back. To understand Sia, you first have to understand the basics of file hosting. At its simplest form, the web is the sum of millions of always-on computers located around the globe, each storing and serving files to users on-demand. When an internet user types in a web address, computers around the globe kick into overdrive and serve images, text, video, and audio on-demand. These computers, otherwise known as servers, are big business. And Amazon is the biggest of them all, operating massive data centers all around the globe. And as you’d imagine, operating a data center, also known as a “server farm,” capable of keeping 45 percent of the internet running is no easy task. Server farms eat up a massive footprint, and require huge injections of capital to build, maintain, secure, and power these mega plants. Google, by one estimate, requires as much energy as the country of Turkey to run its server farms. And that was in 2015. The move to alternative energy lessened some of the concern. But before you pat large corporations on the back for their switch to wind and solar, remember the decision was influenced as much by cost as it was conscience. Renewable energy, after all, significantly lowered their operating costs by reducing power bills to practically nothing — after considering the upfront investment. You want decentralization as impactful as disrupting global currency markets? Here it is. Sia was born of the idea that internet would continue to grow, and the way we hosted files could prove to be its biggest bottleneck. Cloud storage has lessened the impact, but some feared that we could essentially run out of places to store new data. If that seems problematic, consider this: over 92 percent the world’s data was created after 2012. Vorick and Champine theorized a futuristic way of storing files that didn’t require additional servers. Instead, its innovative new company, Sia, would use the empty storage space on devices we already had: smart phones, tablets, and PCs. Essentially, Sia would turn all of our devices into servers, and lessen the need for new server farms. Let’s say that between family photos and videos, documents, and miscellaneous files I have 5TB of I need to store in the cloud. Another person has 5TB of space between his desktop, laptop, and mobile devices that he’d like to lease. Storage, as you may already know, is cheap. It’s retrieval that costs. And here’s how those costs break down when storing (and retrieving) 5TB using each of the three biggest storage providers. Using the above example, I can enter into a smart contract with a person to lease his available space. In return for leaving his devices on at all times (so the files are always accessible), I’d pay a fee. He’s not going to get rich, but it’s space he’s not using anyway… adding something to nothing is still something. Aside from Sia’s 3.5 percent take in the deal, I’m paying about $15 a month to host 5TB’s of data. Try finding that on Amazon. Now imagine basement hackers and small businesses that maintain their own servers on-site. As storage capacity grows, so does the potential profit made by leasing it. But a network like Sia’s is only as good as the peace of mind it can offer both customers — the renter and the host. Sia addresses this problem through multi-region redundancy, meaning each file is distributed amongst as many as 30 different devices around the globe. Each device holds a small piece of the overall server load, and this piece might not even be sequential — meaning, if you uploaded a 30 page document, it’s not necessarily true that each host would have one page; one host could have 10 words of all 30 pages. In addition, each of these files are encrypted, all with a unique key. Neither Sia, nor the host can access it. And if we run into another Apple vs FBI situation, Sia might be compelled to serve up the file, but technically-speaking, it can’t — it was never on a server owned or maintained by Sia, nor is it accessible by the person hosting it. If forced to comply, Sia (or the host), would only be able to turn over a file the outside party wouldn’t be able to access anyway, hypothetically speaking. Unintentionally, or perhaps not, Sia has created the perfect end-around to address government overreach. 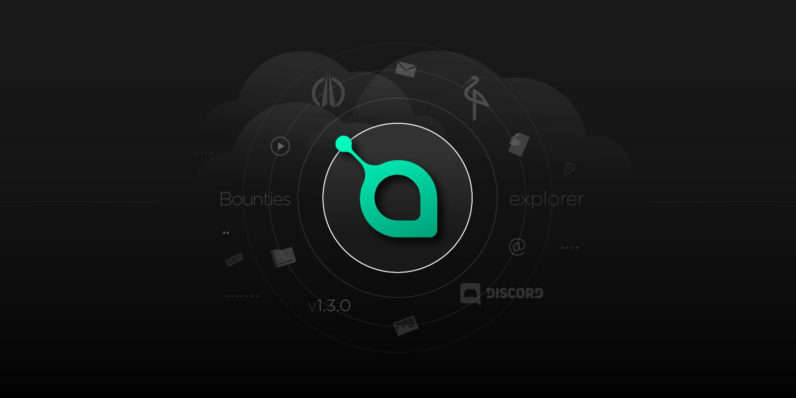 With Sia comes a new currency to power it, Siacoin. Siacoin is disruptive in its own right. Rather than buying coins for the sake of buying them — and watching as volatile markets swell and shrink profits at nauseating speeds — Siacoin offers real utility by being one of the few coins that exists for reasons outside of speculation. As people enter into smart contracts to purchase (or sell) storage space, Siacoin is the only currency accepted on the platform. It’s the only way to pay for these transactions. I had questions here. Why not just use fiat currency like dollars or euros? It struck me as gimmicky to create a coin out of thin air and use it for the sole purpose of buying and selling goods or services on a single platform. Imagine Facebookcoin, or similar. Vorick broke it down for me. You can’t have a truly decentralized network and rely on fiat currency. Fiat transactions processed via credit card give the network a point of failure (the credit card processor) as well as a point of centralization (government-backed currency). So dollars, euros, and the like go out the window immediately. That leaves Bitcoin, or other cryptocurrencies, like Litecoin and Ethereum. For a network like Sia to thrive, it has to offer incentives at each level of the operation. Miners, for example, provide computing muscle. Keeping Sia’s blockchain safe from hackers attempting to manipulate the network (often for profit) requires staggering amounts of computing power working around-the-clock to solve complex mathematical equations in exchange for monetary rewards in the form of Siacoin. And then we have hosts and renters, both of which use Siacoin as payment when entering into smart contracts. By utilizing the same currency network-wide, it allows for increased control over how it operates. The network slowdowns experienced by Ethereum and Bitcoin, for example, are within the core development team’s power to address — no need for lengthy debates or potential forks that turn one currency into two. Sia’s essentially taken control over decisions about the future of the currency, a move that could alienate cryptocurrency purists. But in my opinion, the move is a necessary one. Bitcoin, by its very nature, is an inefficient beast. Slowdowns plague the network, and while improvements could ease some of the concerns surrounding security and consumer feasibility, the network has typically trudged along debating real-world problems as if they were hypothetical. This ultimately led to a fork last month that saw Bitcoin split into two currencies: Bitcoin and Bitcoin Cash. Sia, by maintaining control of its own altcurrency, takes democratized decisions out of the equation. It makes up for it with agility that other major players in the space lack. If there’s a better way, Sia is free to move forward with it. Siacoin, after all, is just one part of the Sia equation. And as company that exists outside the coin that powers it, keeping some level of control makes a lot of sense. Vorick doesn’t like talking about Siacoin, or so I gathered. The coin, as he sees it, is a distraction, a way of bringing artificiality into a conversation about a company that stands to be a real game-changer. So you shouldn’t be surprised when Vorick says the team doesn’t have any pricing targets for Siacoin. He’s not predicting a Bitcoin-like boom, nor does he mention Ethereum aside from talking about the potential problems it’ll have to address down the line. He does, however, hope to hit 100,000 file contracts worth over $1 million by the end of this year with the companies core product: Sia. From there, the targets get even more aggressive. As Sia rolls out new features — like sharing files between users, video streaming, and building outs its own next-generation content distribution network — the company hopes to hit targets of 10 to 40 times 2017’s within the next two years. Dropbox seems an ideal comparison, at least for now. The company, though, has bigger goals in mind. Instead of building consumer-facing applications, Sia wants companies like Dropbox to drop its back end storage in favor of hosting on the Sia network. Rather than build the next Dropbox, Sia wants to build the platform that powers it while empowering developers to build consumer-facing applications on top of it. And it’s an appealing choice. Sia can offer virtually limitless amounts of storage for pennies on the dollar when compared with current market rates. It’s kneecapping the competition, while offering the same (and often better) features as Amazon’s S3 platform. Measuring the benefits makes Vorick’s goals seem all the more obtainable. In fact, he may be underselling the power of the platform by measuring it against companies like Dropbox. This is, in fact, as legitimate a competitor to Amazon’s S3 platform as there is on the market today. And while Vorick isn’t quite ready to go toe-to-toe with Jeff Bezos for hosting supremacy, it’s hard to avoid the comparison. Join us on TNW Answers Thursday, September 7 at 10am PDT (1pm EDT) as Sia co-founder David Vorick sits down to answer your questions about Sia, cryptocurrency, and the future of altcoins. Get your questions ready, and join us here!